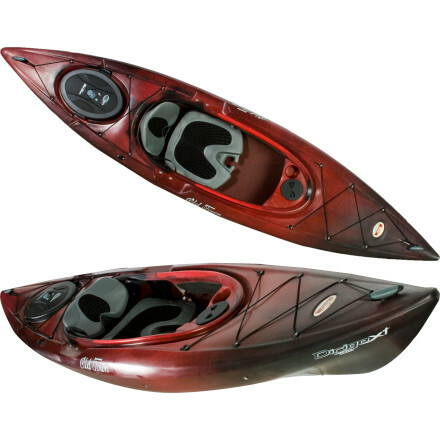 Great rec kayak for lakes and slow rivers, capable of light overnight trips. Have had this kayak almost three years. I've dragged it, banged it, shot over ice and hit bottom more than a few times. Aside from a few scratches, the hull is perfectly intact. It's easy to get in and out of, has a very comfortable and well adjustable seat, a fairly big water-tight hatch on the back (enough for a tent and sleeping gear), a little water-tight hatch on the dash for keys or a cellphone (I use this hatch regularly and it hasn't failed), adjustable foot stays, bungee tie-downs on the front top which hold extra gear well, a paddle holder, knee pads, and a good skirt lip. It paddles reasonably straight, but is quite maneuverable. I've used it on overnight trips carrying lots of gear without any problems. 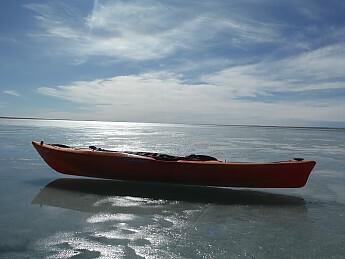 It handles a fair bit of chop quite well and is an absolute pleasure over smooth water. It weighs about 45 lbs and is not difficult to put up on a roof mount. 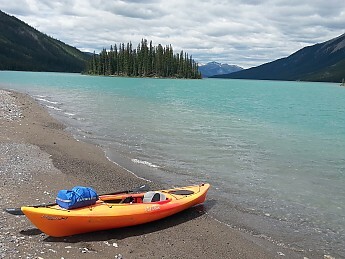 Great rec kayak, highly recommended. Thanks for sharing your Dirigo review and beautiful pictures, Dean! Jasper is beautiful. Love the pictures! Thanks for the review. 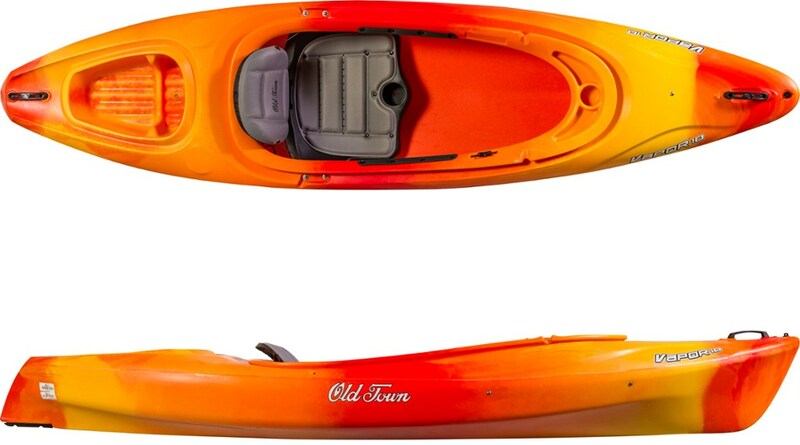 I love the storage hatches on this kayak. It is light enough for me to easily load on the top of my SUV. I have had my Dirigo for nine months and love it. My favorite part is the storage hatches which are easily accessible while on the water. 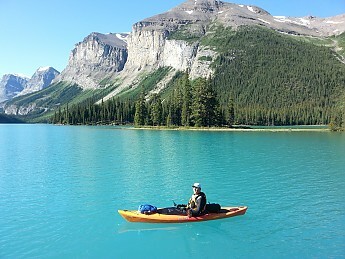 This is a well made, durable kayak. I am 5'-7" and have plenty of leg room. 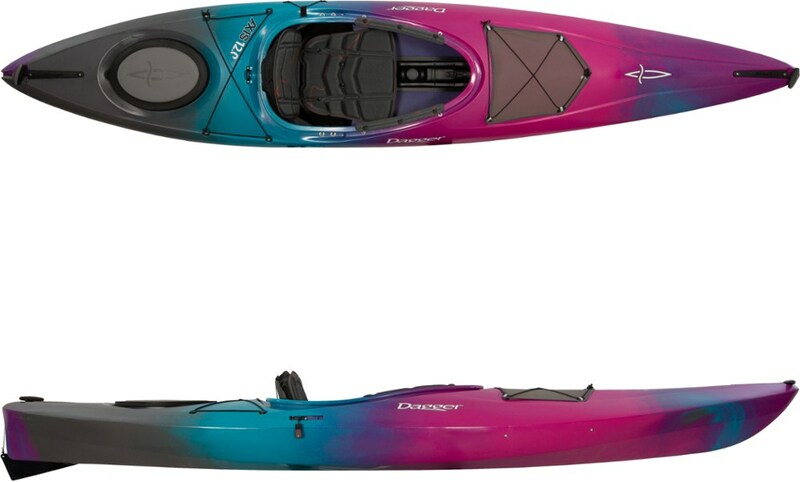 This kayak is very stable on the water and is lightweight enough that it is easy for me to load it on my SUV without any assistance. 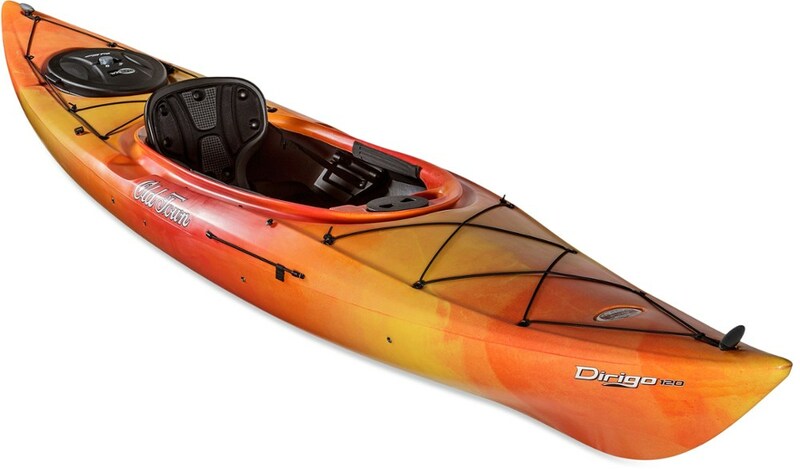 I have used this kayak on rivers, ponds, and lakes. It does well in windy conditions and waves on a lake. I have not used it in any whitewater rapids.